Jill Littrell is an associate professor at Georgia State University where she teaches psychopathology, alcohol and drug addiction, and research methods courses. After 8 years as a social worker, she obtained a doctorate in clinical psychology at Arizona State University. Following an internship in the Veteran’s Administration Hospital in Phoenix, she worked as a psychologist at Cigna Health Plan for five years in the Alcohol and Drug Dependency Department. 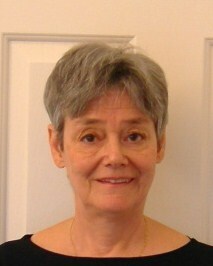 During her time at Cigna, she completed a two-volume work on alcoholism. This endeavor further acquainted her with the neuroscience literature and the proliferating research on how stress influences the immune system and mood. Having been intrigued by the connections between mind and body, she pursued a master’s degree in biology (molecular genetics and biochemistry) while on faculty at Georgia State. Much of her class work and laboratory experience was focused on immunology and neuroscience. She continues to work in the immunology lab of Dr. Yuan Liu at Georgia State. In recent years, she has published various papers on the links among behavior, disease, and the immune system, as well as on the efficacy of antidepressants. In her recent book, Neuroscience for Psychologists and Other Mental Health Professionals: Promoting Well-Being and Treating Mental Illness, she addresses topics such as how exercise, diet, gut microbiota, meditation, and yoga can influence mood, behavior, and psychosis. Articles by Jill Littrell can be accessed by googling “scholarworks” “littrell”.